We're over the moon about our growing family! Being pregnant the second time around has been so different. Not really different physically. Similar queasiness, similar exhaustion. Different in the way I've thought about it. I don't really, not much. I'm aware of how my clothes don't fit (second baby does not mess around - full on maternity clothes over here at 11.5 weeks). But other than that, I don't spend nearly as much time thinking about being pregnant. Frankly, I forget. That sounds terrible, doesn't it? 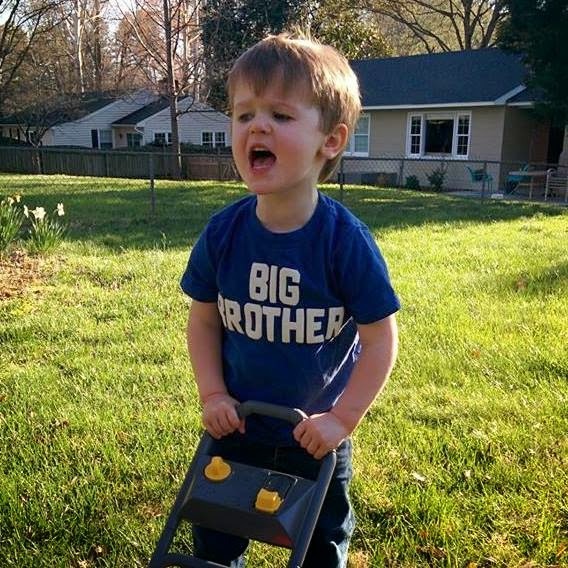 Sam is super excited about being a big brother. He is hoping for a baby Jesus, but he's pretty sure it's a baby sister. yaaaaaay so happy for you!